Bitcoin Transactions explained simply: how long they take, current fees etc. How long does Bitcoin transaction take? What is the current bitcoin transaction fee? What to do with the unconfirmed transaction? These and many others question will be discussed in this post. Bitcoins do not exist at anyplace, not even on a hard drive. Although we talk about people having Bitcoins, if you look at a certain Bitcoin address, there are no digital Bitcoins held in it. This is the same way that you will hold dollars or pounds in your bank account. You can’t just point to a physical object or a digital file and then say that it is a Bitcoin. What you will find instead are records of transactions in between different addresses with balances that will either decrease or increase. Every transaction that took place within the Bitcoin Exchanges is often stored on a vast general ledger that is called the blockchain. If you want to be able to work out the balance for any Bitcoin address, the information will not be held at that address. Instead, you must reconstruct it by looking through the blockchain. So how does a Bitcoin transaction look like? To better understand the concepts behind the transactions that are taking place within the Bitcoin network of exchanges, refer to the example below. An Input – this is the record that shows that a Bitcoin address was used to send the Bitcoins to Mary in the first place. She received the Bitcoins coming from her friend, Alice. An Amount – this is the amount of the Bitcoins that Mary would like to send to Bob. An Output – this is the Bitcoin address of Bob. Now that you know what the components of every Bitcoin exchanges are, you might wonder how the Bitcoins are being sent. To send Bitcoins, you will need two things, and these are the Bitcoin address as well as the private key. Although it works like your bank account, the Bitcoin address is not just like any bank account. You will need loads of paperwork and id cards to set it up. They are being generated at random and comprises of a sequence of letters and numbers. The private key, on the other hand, is another set of letters and numbers, although unlike the Bitcoin address, this one should be kept a secret, much like your password. Just think of your address as a safety deposit box that comes with a transparent glass front. Everyone is aware of its presence, yet they cannot have access to it because of the private key which locks it. Going back to the example, if Mary would like to send Bitcoins to Bob, she will make use of her private key to sign a message with the input. Which, as stated, is the source of the transaction of the coins, and it will also include the amount and the output, which is Bob’s address. Mary will then send them from her Bitcoin wallet towards the wider Bitcoin network. From there, miners of Bitcoins will have to verify the transaction and then place it on a transaction block until they eventually solve it. Since your transactions need to be verified by the Bitcoin miners, you will sometimes need to wait until such time that they can finish mining. The main protocol behind Bitcoin Exchanges is that each block will take about 10 minutes to mine. Some merchants would make you wait until such time that this block is confirmed before they give you the goods you purchased. You may want to have a cup of coffee while this is going on and then come back at a later time before you can begin to download the digital goods or make use of the services that you have paid for using your Bitcoins. Some merchants will not make you wait until such time that the transaction has been confirmed. They will simply take a chance on you and will assume that you will never use the same Bitcoins on somewhere else right before the transaction will be completed. This is very common for low-value transactions where the risk of fraud is not that great. So what happens if the input, as well as the output amount in your Bitcoin transaction, will not match? 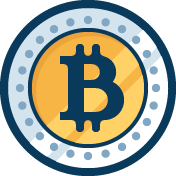 As mentioned, Bitcoins exist only as records of transactions, and therefore, you can end up with several different transactions that are tied to certain Bitcoin addresses. Perhaps, John sent Mary two Bitcoins, then Eve sent her three Bitcoins, while Alice sent her a single Bitcoin, and all are done on separate transactions at the different time. This will not be automatically combined in Alice’s wallet to create one file which contains the six Bitcoins that Mary was sent. They just merely sit there like three different transaction records. What about Mary and Bob? When Mary sends Bitcoins to Bob, her wallet will make use of the transaction records with different amounts which adds up to the number of Bitcoins that she wants to give to Bob. So within the Bitcoin Exchanges of Mary and Bob, if Mary would like to send Bitcoins to Bob, she will not have exactly the right amount of Bitcoins that she received from other transactions. For instance, she only wants to send 1.5 Bitcoins to Bob, and none of the transactions that she has on the Bitcoin records matches that amount, and none of them will add up to this amount when they are combined. Mary cannot just split the transaction into smaller amounts. She can only spend the whole output of a transaction and not break it up into smaller amounts. What she will do instead is to send one of the incoming transactions and then ask Bob to return the rest of the extra Bitcoins to her. What she can do is send the two Bitcoins which John sent her. So John will be the input and Bob is the output. And since the amount that she intends to send is only 1.5 Bitcoins, her wallet will immediately create two outputs for her transaction. First is the 1.5 Bitcoins she is sending to Bob and another 0.5 Bitcoins to a new address that it created for Mary to be able to hold her change coming from Bob. Those new to Bitcoins are probably wondering if there is any transaction fee involved in Bitcoin Exchanges. There are instances that there are transaction fees involved though this is not always the case. See chart for historical transaction fees. The transaction fees are computed based on several factors. Some wallets will let you set your transaction fees on a manual basis. Any portion of the transaction that is not picked up by the recipient will be considered a fee. This will then go to the miner who has been lucky enough to have solved the transaction block as the extra reward. One of the most frustrating things when it comes to transaction fees is the calculation of the fees. It is very complicated and requires a lot of calculations. This has been the result of various updates to the Bitcoin protocol and was developed organically. 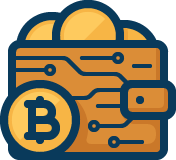 The updates to the core software that was handling Bitcoin transactions will see it change the way that it handles the transaction fees instead of merely estimating the lowest fee that will be accepted. Last time many changes are coming on the latest version of the Bitcoin network. These changes may alter the way Bitcoin Exchanges work, making them more user-friendly especially for beginners. If you would like to get some Bitcoins, surely have to know how to make Bitcoin Transactions. Even if you can get bitcoins for free, you’ll need them to pay for something. For those of you who earn Bitcoins, this topic is even more important. So, I hope you have more understanding of the whole process.